Cornerstone articles should be the best and most complete articles on your website. That means that you should make an effort to make this article as awesome as possible. Raise your normal standards and write extraordinary cornerstones. To help you create excellent cornerstone articles, we developed a special cornerstone analysis. Why do you need a separate analysis? 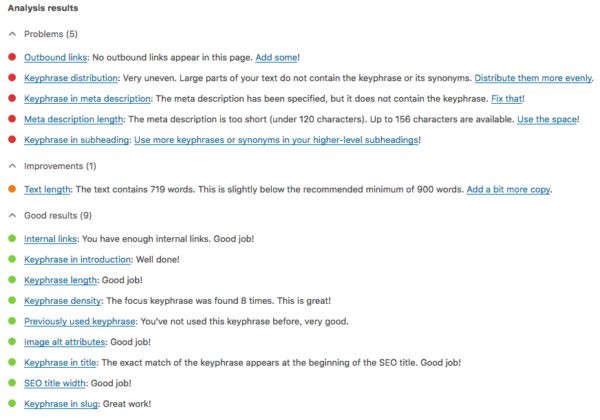 Of course, our default SEO and readability analysis already helps you to write awesome articles. 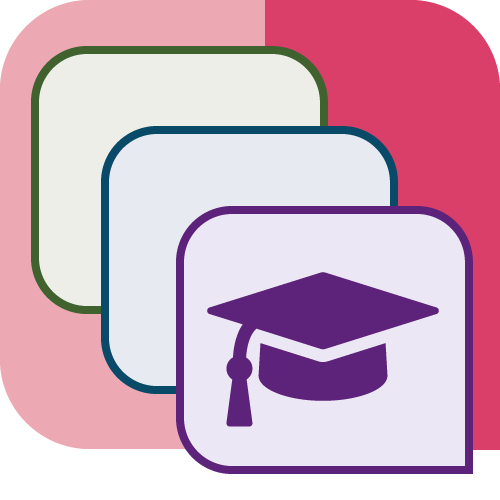 So, why do you need a separate analysis for cornerstones? The answer to this question is that for cornerstone articles you should raise the bar. Your cornerstones should be the best. 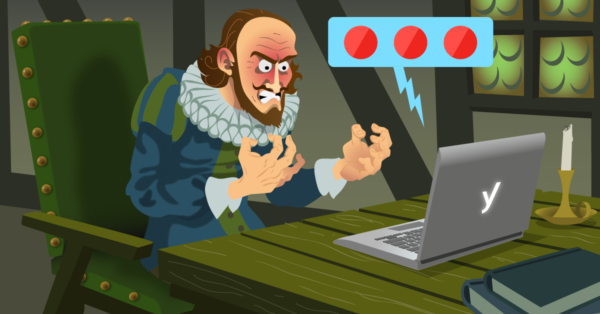 They should be better than your other articles, which means a lot is demanded of your writing. Our cornerstone analysis will help you to raise your standards (and stick to them). It will be harder to score that green bullet. You have to do all the important things right! What does the cornerstone analysis do? You know our green bullets, right? In our default analysis, we check whether or not your post is readable and SEO-friendly. The cornerstone analysis is an adaptation of the default SEO analysis. In the cornerstone analysis, we’ve set higher standards. A few checks in both the readability analysis, as well as the SEO analysis have been adapted to assess your text more strictly. When you’re working on a cornerstone, you should indicate so by switching the cornerstone toggle. Once you’ve switched the toggle, the default analysis will automatically change into the cornerstone analysis. To create the cornerstone analysis, we altered 2 readability checks and 6 SEO checks. You’ll need to use enough subheadings, and should make sure to write concise sentences to receive a green bullet in the readability analysis. Cornerstone articles are usually long and therefore a bit harder to read. Subheadings and short sentences will help people to read all the way through the end. The most important adaptation in the SEO checks is the demand for a lengthy article. Cornerstone articles aim to provide the best and most complete information on a particular topic, which means that they need to be long. In order to score a green bullet on text length, you’ll need to write an article of at least 900 words. We’re just a bit stricter concerning these checks. To score a green bullet, you need get all of these right: use keywords in the subheadings, write an awesome meta description, use your keyword in the URL and make sure your images are optimized properly. For cornerstones you just need to go all the way. These are the articles you would like to rank with, so make sure you give them the very best chances. So, go ahead and start optimizing your cornerstone articles to make them rank higher. 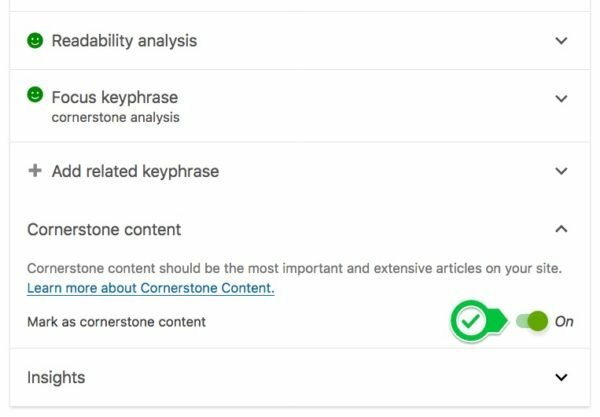 Use the free cornerstone analysis in Yoast SEO as a guide, to find out which aspects of the article you could improve. Keep an eye on the text link counter to see if your cornerstones receive enough internal links. And if you want to take it a step further, get Premium to help you do some sophisticated internal linking. Good luck! Thanks yaost for the great info. But does readability focus always matter for my ranking? 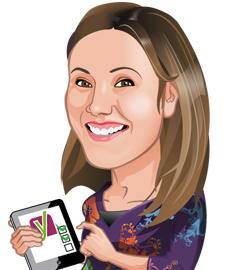 Yoast Plugin is the best way to make you understand whether your SEO needs some improvements or not and if yes then whether you should make changes to make it good ie. Green. If your understanding of Yoast Plugin is good then only you will able to make changes in it and i think cornerstone analysis will be helpful for that things. Must Read! Readability is too hard to make green. I’m using yoast seo plugin and planning to switch with premium version but exactly i’m not getting what is difference between this pro and non-pro ver. Can you please tell be some main points whick pro mode can make my site more popular in lesser time. Thanks for sharing such an incredibly written article. Got to know an insight view of the “cornerstone analysis” that will help me to curate more organized articles in the future. A must-read for all SEO professionals.